When Charles Dickens wrote “A Christmas Carol” in 1843, he was driven as much by financial desperation as inspiration. The story met with instant success, selling six thousand copies within a week, and it has never been out of print since it was written. Dickens wrote and published the classic tale to pay off crippling debt, and in doing so he invented the memorable cast of characters that inhabit one of the most popular and enduring Christmas stories of all time. Though written over 150 years ago, Dickens’ message is still fresh today. Ebenezer Scrooge, the miserly main character, was both cursed and blessed. Though he was cursed to revisit the past, with Jacob Marley’s help he was able to reflect on the present, and he thereby was blessed to be able to change his future. The lessons that Ebenezer Scrooge learned from Mr. Marley and the ghosts of Christmas Past, Present and Future are surprisingly simple: if you think constructively about the past and the present, you have the power to change your future. In Dickens’s tale, Marley was the one who showed Scrooge the way, sweeping in unannounced, dragging all his worldly chains and baggage, and moaning, “Scrooooge.” As financial advisers, we often find ourselves in the role of Marley. Though not dragging chains, and rarely moaning clients’ names, we play the role of a kinder, friendlier Marley as we look at their past, evaluate the present, and help create the future they desire. 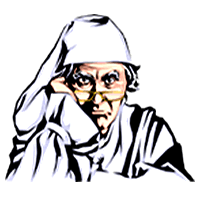 If your own financial ghosts are disturbing your sleep each night, like Scrooge, it is time to take control. Regardless of your financial history, you can begin today to build a solid financial foundation. Setting financial goals is the key to controlling your worries and keeping your finances healthy. To do so, first objectively analyze your past: successes, failures, trials, and triumphs. Then inventory your present situation: income, expenses, dreams, and abilities. And finally, reconstruct your future, building on your past and present. Financial solvency is important, but there’s more to happiness and wellbeing. Bob Cratchit, Scrooge’s faithful employee, was financially poor, but richly blessed with a loving family and a kind nature. As Scrooge shared Christmas dinner with the Cratchits and their son Tiny Tim, he realized that true wealth comes from sharing.